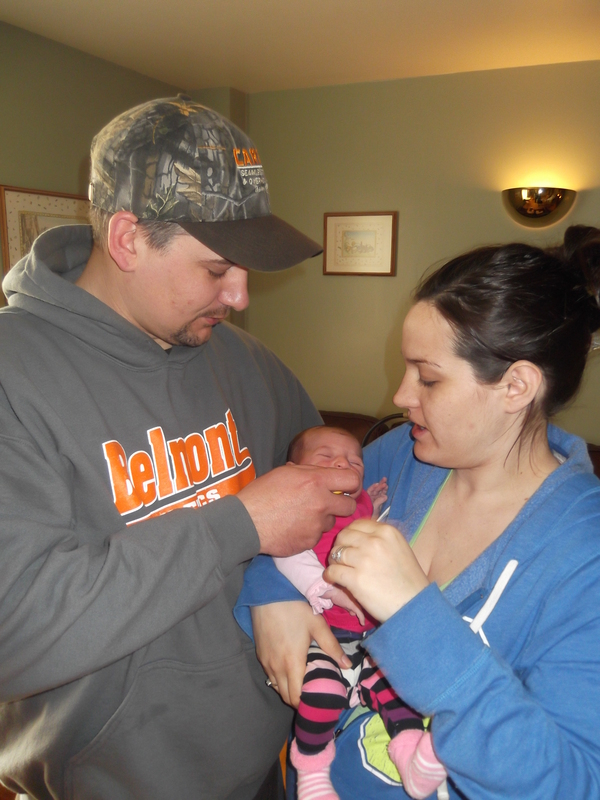 On April 11, 2013 at 2:27 p.m., my husband and I welcomed our second beautiful daughter into the world. Meet Kendal Donna. I told Dan about two months ago that I had a feeling this baby would make a different entrance into the world. Actually what I believe I said was, “She’s just not going to cooperate…” And as a mother’s intuition serves, I was right. Kendal progressed quickly before I had her, but she would not commit to labor. The day I went into the hospital, I was dilated to a five with over a week’s worth of false labor. My doctor suggested we just break my water to give her a little kick start. After active labor had began, we learned that Kendal was positioned in a deep transverse arrest. This means that instead of the top of her head presenting for birth, the front of her face was with her neck bent back. Having her in this position prevented labor from starting on it’s own, and in the end made delivery unsafe and not possible. From there we headed down to OR where she was delivered safely via cesarean section. Feeling terrified in the operating room with bright lights, numerous people moving quickly and a blue sheet over my lower half, there was Dan reassuring me that everything would be fine. Moments later I heard her first cry–scream actually! I melted in tears. Suddenly all of the fears I had leading up to this delivery left me. She was here. I knew she was just fine. It was only a short while longer until I would hold my girl. The recovery nurses knew how badly I wanted to be upstairs with her so they let me sneak up just a little early. 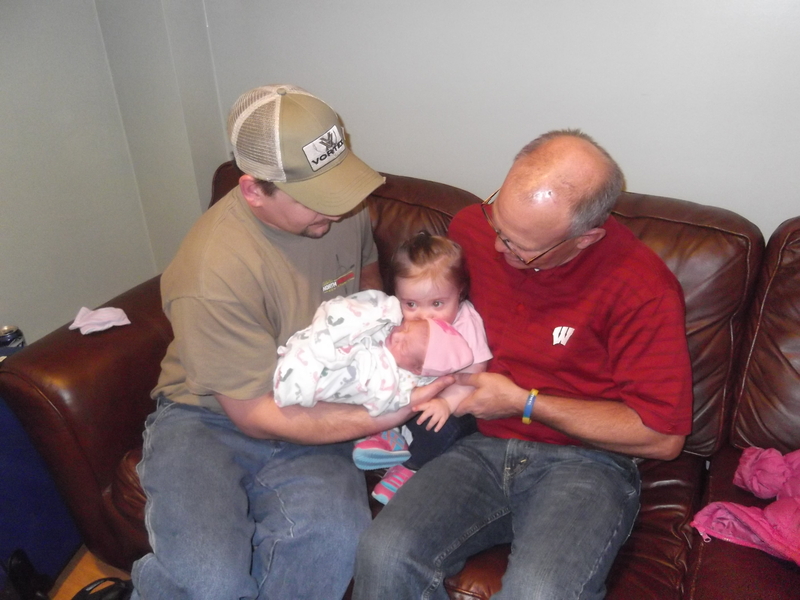 They wheeled me into my room and there on the couch was one proud daddy snuggling his newest little. I could tell by the way his smiling eyes were glued to her just how in love he was. But it was my turn to get my arms around her. I stared at her and examined her the way I knew I would–the only way I know. 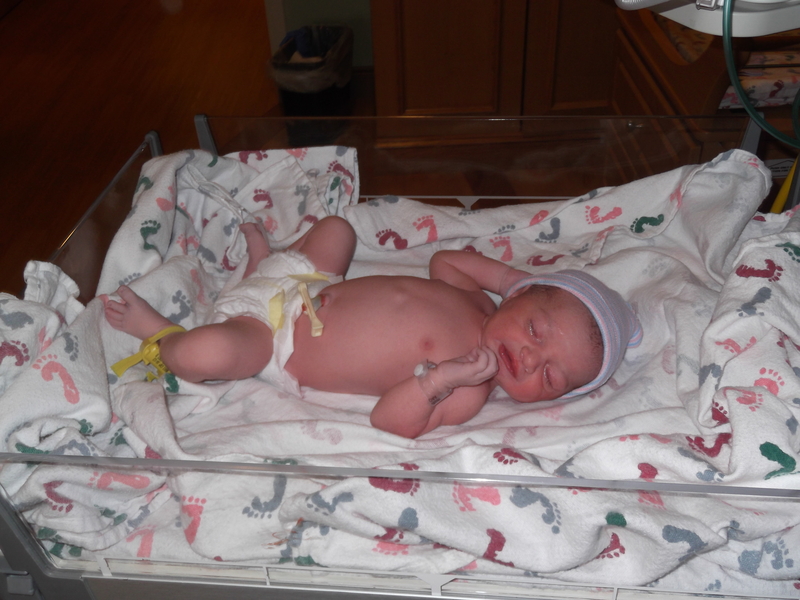 She was 7 pounds, 6 ounces and 21 inches long! Her sweet little head was covered in fuzzy black hair. Her long fingers and toes were conversation pieces when we would unwrap her for each visitor to see. This time I waited to call or text people. I wanted her to myself–to enjoy with Dan. I was in love; deeply in love. She was nameless for a long while. I struggled with names this time around, because once again I needed to see her. Nothing felt perfect prior to her arrival. I wanted it to fit her the way Tessa fit. “Kendal” had been on and off of our name list for months and we didn’t pull it back out until after she was here. I knew I wanted her middle name to be Donna; after my late Grandma whom I deeply adored. Once I said “Kendal Donna” a few times, I knew it fit her beautifully. I forgot just how quickly babies transition from newborn to infant to toddler. Having Kendal showed me just how much Tessa has changed in what feels like such a short time. 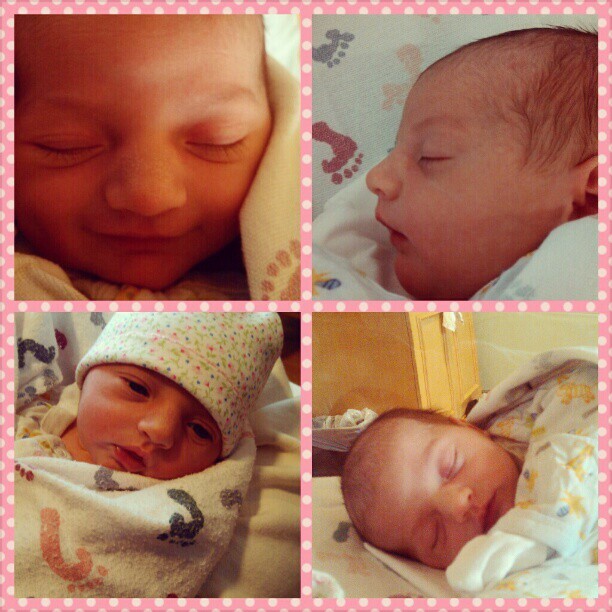 But there is something about the innocence and beauty of a brand new baby that captivates me in the sweetest splendor. The way they smell, the way they wrap their tiny fingers around yours, the snuggles, the needy cries, the hungry rooting and newborn yawns all take me away to a blissful paradise. I was blessed once with a sweet and charming little darling. How did I get so lucky to have it happen twice? Since being home from the hospital, I have had overwhelming feelings of nostalgia especially when I dress Kendal is some of Tessa’s baby clothes or swaddle her in Tessa’s blankets. I am reminded of a once painful homecoming (that is far less painful these days) and of the once new baby girl that is now a big sister. I am reminded of my blessings. Kendal molds in perfectly. Everything just feels right. 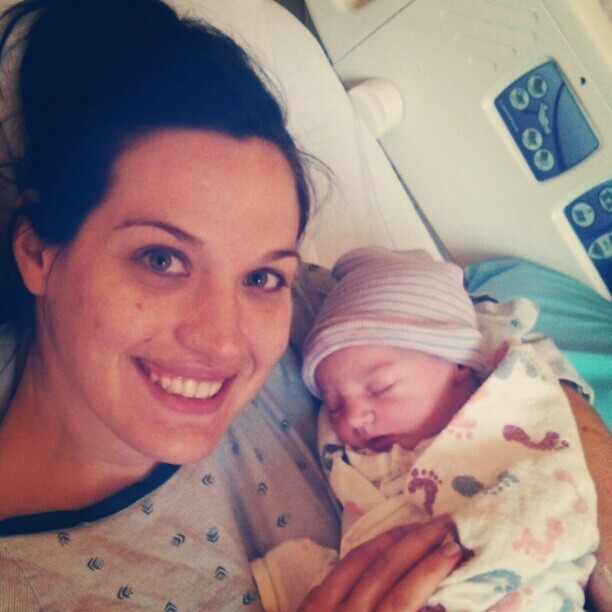 Welcome to the world Kendal Donna Carey. May you always feel the love that surrounds you. So happy for you and your beautiful little family of 5! Glad Kendal is here safe and sound. Congratulations! Congrats to all of you!!! I truly love reading about your family!!!!!!!! Enjoy Kendal!!! I love her name!! Congrats to you and your family! We are expecting a new addition this month.I’m already excited! and reading your story make me even more excited to meet he or she.